They’ve cast one of the final major roles in Fifty Shades Of Grey, the Universal Pictures andFocus Features adaptation of EL James’ global bestseller that stars Dakota Johnson as Anastasia Steele and Jamie Dornan as Christian Grey. 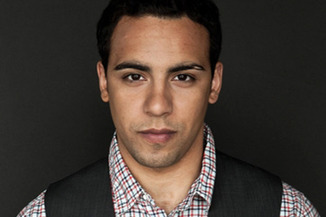 Victor Rasuk has been set to play Jose, the aspiring photographer and classmate of Anastasia, whose close friendship with the young girl — he’d like it to be more — pits him as rival for her affections with Grey, the wealthy businessman whose warped past leaves him with a need to dominate his partners and unable to accept Anastasia on equal terms (yes, I read the damn book). Rasuk made his breakthrough playing skateboard pioneer Tony Alva in The Lords Of Dogtown, and he starred in HBO’s How to Make It In America, as well as Raising Victor Vargas and the Steven Soderbergh-directedChe. He’ll next be seen in Godzilla. Sam Taylor-Johnson is directing Fifty Shades, from an adaptation by Saving Mr. Banks scribe Kelly Marcel with revisions by Patrick Marber and Mark Bomback. Michael De Luca and Dana Brunetti are producing alongside the author. Rasuk is repped by Gersh, manager Katherine Atkinson at WSA and attorney Todd Rubenstein.